Paycom, a leading provider of comprehensive, cloud-based technology for human capital management, raised the bar with its annual gift to The Salvation Army of Central Oklahoma by donating $60,112 on Tuesday. Paycom, a leading provider of comprehensive, cloud-based technology for human capital management, today announced that its founder and CEO, Chad Richison, has been named one of Oklahoma’s Most Admired CEOs by The Journal Record. The award honors business leaders who demonstrate great leadership and dedication to their companies and communities. Paycom has partnered with NewsChannel 4, The Salvation Army and Buy for Less to host its second annual HoliDazzle, a free event at Buy for Less’ 3501 Northwest Expressway location on Saturday, Dec. 13, to kick off the Brad Edwards Warmth 4 Winter coat drive. Paycom Recognized Among Glassdoor’s Best Places to Work in U.S.
Two days after earning Top Workplace honors in its home state, Oklahoma City-based Paycom (NYSE:PAYC) – a leading provider of comprehensive, cloud-based technology for human capital management – landed at No. 16 on Glassdoor’s 2015 list of the nation’s 50Best Places to Work. For the second-consecutive year, Paycom was ranked as the Sooner State’s second-best place to work, on the 2014 Top Workplaces in Oklahoma list. In addition, the Oklahoma City-based software company received special recognition for its ethics policy. In the spirit of friendly competition, Paycom took part in Infant Crisis Services’ Bedlam for Babies drive, where Paycom and its employees combined to donate necessities like food, diapers, formula, wipes, toys and clothes. Paycom (NYSE:PAYC), a leading provider of comprehensive, cloud-based technology for human capital management, today launched a powerful Affordable Care Act (ACA) Dashboard. As an enhancement to its existing ACA compliance solutions, the new dashboard further empowers Paycom’s clients to effectively navigate the ACA employer mandate that goes into effect in 2015. Paycom’s executive vice president of operations, Stacey Pezold, was named to okcBIZ’s 2014 class of Forty Under 40, honoring Oklahoma residents based on community involvement, professional achievements and career development. Paycom, a leading provider of comprehensive, cloud-based technology for human capital management, was awarded a slot on the 2014 Metro 50 list for a record 12th-consecutive year. In celebration of National Payroll Week (NPW), Paycom continued its tradition of embracing a fun workplace culture while also giving back to the Oklahoma community. Paycom celebrated with a week full of employee activities and competitions, including a charity drive that collected and donated 5,763 canned goods to The Salvation Army of Central Oklahoma. Paycom was ranked on the Inc. 500|5000 for a ninth consecutive year, checking in at No. 2,401. The exclusive list of the nation’s fastest-growing private companies recognized Paycom along with such powerhouses as GoPro, Bridger and Lending Club. Paycom, a leading provider of comprehensive, cloud-based technology for human capital management, was ranked as one of Selling Power magazine’s 50 Best Companies to Sell For in 2014. Checking in above other notable companies such as Google, Microsoft and Cisco Systems, Paycom was chosen based on its compensation and benefits, training opportunities, company reputation and ability to grow and retain its customers. Paycom’s CEO and Founder, Chad Richison, was named among the seven new members inducted into the University of Central Oklahoma’s Athletic Hall of Fame August 11, 2014. 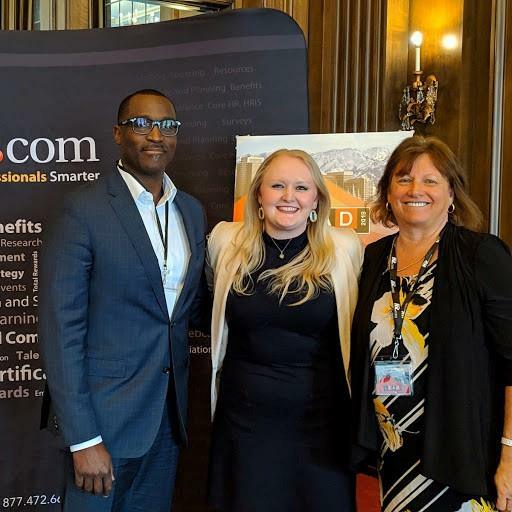 OKLAHOMA CITY – Paycom, a leading provider of comprehensive cloud-based technology for human capital management, received special recognition for its philanthropic efforts at The Journal Record’s seventh-annual Beacon Awards on Thursday, July 10 at The Skirvin Hotel. As highlighted in its first quarter earnings release issued on May 15, Paycom, a leading provider of comprehensive cloud-based technology for human capital management, announced the opening of new sales offices in Portland, Baltimore, Philadelphia and Indianapolis. Paycom a leading provider of comprehensive cloud-based technology for human capital management, announced the addition of Push Reporting, a new capability that will increase the quality, speed and efficiency in which human resource executives can populate, produce and analyze employee data generated reports. Paycom’s President’s Club attendees raised the bar this year, collecting $8,300 to support the Children’s Advocacy Center of Collier County in Naples, Florida, through its annual giving program. Paycom Software, Inc. (the “Company”) announced today the pricing of its initial public offering of 6,645,000 shares of its common stock at $15.00 per share. The shares are expected to begin trading on the New York Stock Exchange on April 15, 2014 under the symbol “PAYC.” An aggregate of 4,606,882 of these shares are being sold by the Company and 2,038,118 of these shares are being sold by certain named selling stockholders. In addition, the underwriters have a 30-day option to purchase up to 996,750 additional shares of common stock from the selling stockholders to cover over-allotments, if any. Today, Paycom CEO and Founder, Chad Richison, was named one of Glassdoor’s Highest Rated CEOs. The 2014 recognition for Richison was based on anonymous and voluntary reviews of Paycom employees throughout the last year. Richison received a 94 percent approval rating, which is one of the highest rankings for businesses in the small and medium size category in Glassdoor’s online survey. After completing rigorous physical testing and endurance workouts Tiffany McGowen, Paycom’s Director of Recruiting, was recently named okcBIZ’s 2014 Fittest Exec under 45. Paycom, a leading provider of a human capital management software solution, has been honored as a member of Inc. magazine’s inaugural list of The Build 100, which recognizes less than 1.5 percent of U.S.-based companies that are noted as sustained-growth champions. Paycom, a leading provider of human capital management technology, expanded its national footprint with the opening of its first Silicon Valley office. This marks the fourth location in California and the 25th across the nation for Oklahoma City-based Paycom, which offers innovative HR and payroll technology for U.S.-based businesses. Paycom and members of its executive leadership team accepted the Exchange Club of Oklahoma City’s Vision Award, presented to entrepreneurs dedicated to fostering and growing their businesses in the state of Oklahoma.Paycom founder and CEO Chad Richison was honored Thursday for his company’s accomplishments at The Greens Country Club, where Paycom joined other elite Oklahoma companies that have received the accolade.